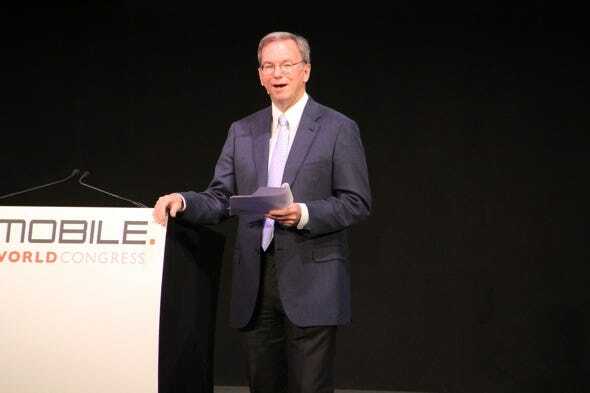 Mobile is hugely important to Google, from its multibillion-dollar mobile-ads business to the Android operating system.But Google chairman Eric Schmidt, who has delivered keynotes at the Mobile World Congress for the past three years, is a no-show this year, TechCrunch’s Ingrid Lunden notes. Only two director-level Googlers are speaking at the annual industry conference in Barcelona, which opens next week. Compare that to Google’s massive presence at past events—and the widespread belief in the industry that Google wants to take a more active role in the smartphone market, following its acquisition of Motorola Mobility last year. What’s changed? Lunden’s sources tell her that Google is deliberately downplaying the Android brand in favour of partners’ brands like Samsung’s Galaxy line of phones, or Google’s Nexus house brand. Samsung, of course, is the one indispensable Android partner. But between Samsung and Google, other Android smartphone makers may feel like there’s not much room for them. So Google may be stepping back to let them breathe. Also absent from Mobile World Congress’s speaker roster: Google’s Motorola division. But that may be because Motorola’s latest lineup of phones, whose designs began before the Google takeover, seem to be un-Googley duds.